Gus Dorais: The ND QB helped change the game of football. In the fall of 1910, Dorais enrolled at Notre Dame, and soon befriended a fellow freshman, 22-year-old Kunte Rockne. Together, they changed the course of football history, becoming the first truly formidable passing combination. On Nov. 1, 1913, Dorais and Notre Dame shocked Army, completing 14 of 17 passes for 243 yards and three touchdowns—all unheard-of totals for the day. In four years under the direction of the “little general,” Notre Dame posted an imposing record of 24-1-3. And in 1913, Dorais became the first Notre Dame football player to be named consensus All-Ameircan. 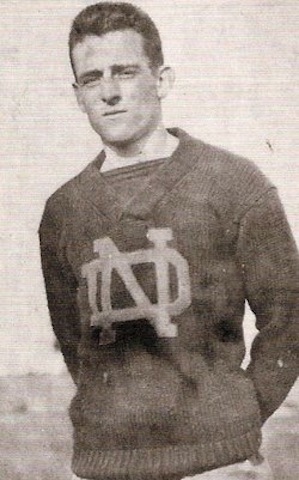 Any respectable list of Notre Dame’s all-time quarterback greats must begin with the fearless dynamo, Gus Dorais.